If you haven't yet tried this Northside restaurant--for Cincinnati residents, that is--you should go. Also if you haven't been in a while, you should go. They've added about 10 patio tables, created a cozy atmosphere out there, and also have streamlined and lightened the menu. All in all,. it's a really nice place for a summer supper. Beer lovers will appreciate their flight of eight local beers for $8. 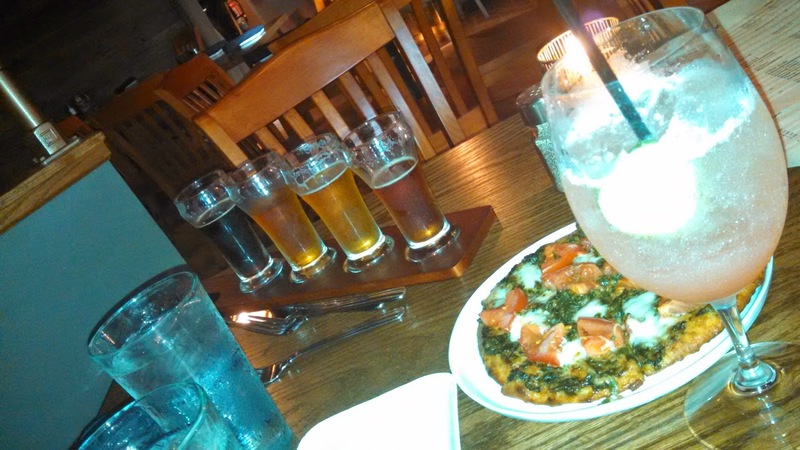 Here's a shot of our drinks and a very substantial (for a $6 appetizer) flatbread pizza. On Mondays, they offer giant, loaded burgers with fries for $6, also. 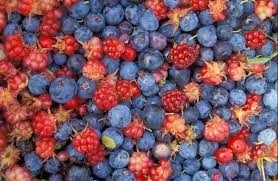 Good old EATING WELL has compiled a list of the eight healthiest foods you can add to your summer diet. Broccoli is my go-to veggie--available year round, easy to cook, super nutritious and I happen to really like the taste. If plain, steam broccoli is too boring for you, toss the cooked veggie with salsa, pesto, or top with some grated cheese. And don't throw away the stem portions! They are just as nutritious and have an interesting texture and flavor of their own. One of my favorite food writers, Martha Rose Shulman, just published a piece about how to cook broccoli stems. Here's the link. 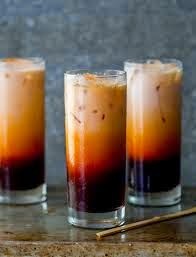 And here is one of her featured recipes. Cut broccoli stems away from crowns. Peel stems, slice lengthwise, then cut in 2-inch julienne. Cut crowns in thin slices and collect all of the flower buds that fall off onto your cutting board in the same bowl with the sliced crowns. Dry tofu slices on paper towels. In a small bowl or measuring cup combine soy sauce, rice wine or sherry, and stock or water. Combine salt and sugar in another small bowl and garlic, ginger and red pepper flakes in another. Have all ingredients within arm’s length of your pan. Heat a 14-inch flat-bottomed wok or 12-inch steel skillet over high heat until a drop of water evaporates within a second or two when added to the pan. Swirl in 1 tablespoon of the oil by adding it to the sides of pan and swirling the pan, then add tofu and stir-fry until lightly colored, 1 to 2 minutes. Remove to a plate. Swirl in remaining oil, add garlic, ginger and pepper flakes if using and stir-fry for no more than 10 seconds. 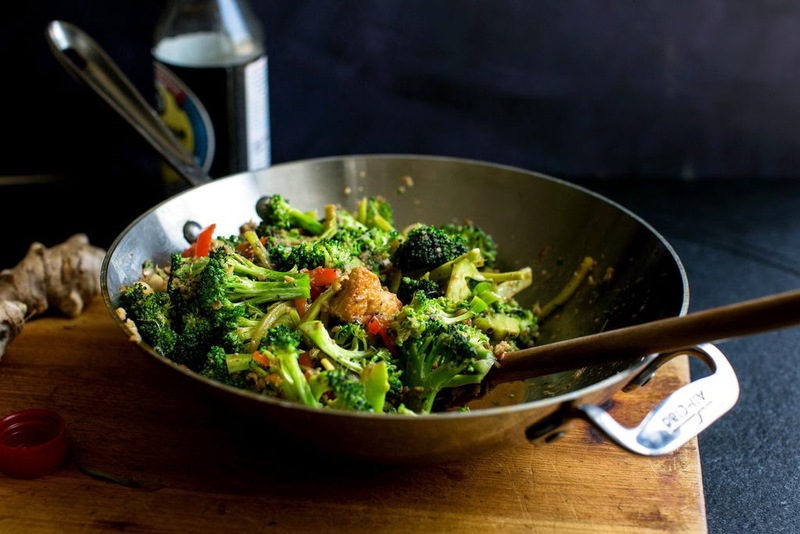 Add peanuts, all of the broccoli – stems, crowns and flower buds – and red peppers, and stir-fry for 1 minute. Add salt, pepper, and sugar, toss together and add soy sauce mixture. Stir-fry for 1 to 2 minutes, until vegetables are crisp-tender, and return tofu to the wok. Add cilantro and stir together for about 30 seconds. Serve with additional soy sauce as desired and hot grains or noodles. Attention fish-lovers: there's now an in-town branch of Keegan's Specialty Seafood Market on Hyde Park Square. Since the original store is way out east -- outside my orbit at least -- this new location gives us city folk a chance to partake of some excellent seafood, much of which isn't available anywhere else in the area. In addition to giving us the best selection of high-quality seafood, Keegan's Hyde Park also serves lunch seven days a week and breakfast on Sundays. I dropped in to grab some fish to cook at home -- and came away with fresh, never-frozen escolar, a real find -- and also picked up a to-go container of their daily soup special, summer gazpacho. As soon as I can talk my friend or my husband into coming along, we'll be back for lunch. Their lunch menu includes lobster roll (a good deal , at $12), clam chowder and lobster bisque, crabcakes and several other seafood-themed items. Keegan's "brings the freshest, highest quality seafood from around the globe right here to the heart of Cincinnati. Owner Tom Keegan works directly with leading purveyors and carefully selects the finest fish and seafood available to be shipped in daily. Working directly with our sources ensures us...that we are providing our customers with the best and most nutritious seafood we can offer." Also in the refrigerated cases: house-made sauces and dips, soups, and more items than I was able to take in. The staff is very helpful in describing the unusual seafood in the case, and when I tried to buy more than a couple of days' worth of fresh fish, the man helping me discouraged me from doing so. Come back and get a fresh-that-day piece, he advised. This Hyde Park Square shop opened early in May and are still trying to get the word out that they're up and running. So get on over there and check out the wide selection of excellent quality goodies! Here are a couple of highlights, foodie wise, of our May/June trip to northern California. In Sacramento, we thoroughly enjoyed lunch in midtown (near the lovely Capitol gardens) at the Cali-Mexi Zocalo's. It may not have been "authentic" Mexican food, but we loved the fresh, bright ingredients on our plates. Here is my chicken quesadilla, with all the extra goodies. After a couple of days there, visiting relatives, we drove over to Monterey and spent four wonderful nights at the Monterey Plaza Hotel and Spa, which was one of the best places we've ever stayed. 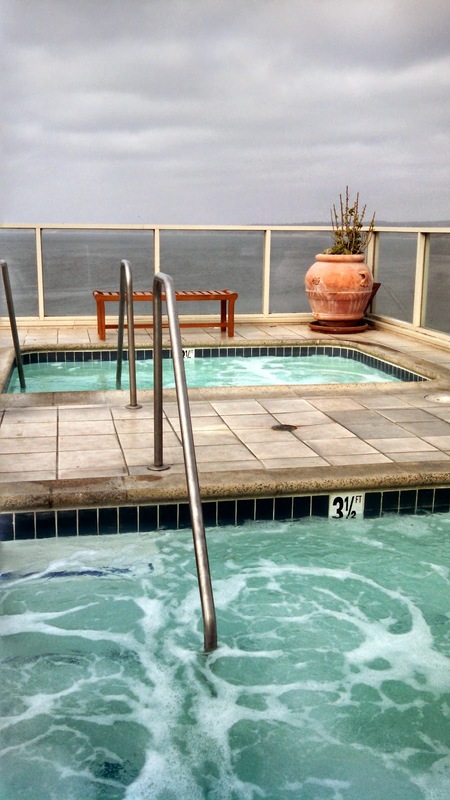 Right on the water, with great views from almost every part of the facility....including the rooftop spa. The hotel restaurant was quite good -- it's called Schooner's -- and in fact my favorite dish of our entire vacation was this scrumptious pasta -- house-made fusilli with sun dried tomatoes and lobster meat. I meant to go back and order it again but alas, never got the chance. We also had two excellent breakfasts there -- one more indulgent with a complicated egg dish, and the next day we made a healthier choice. A hearty breakfast by the Pacific! And finally, I can't close out my California story without mentioning our last night in Monterey, at an in-town restaurant (as opposed to one by the sea) called Montrio's. What brought me there was an article about their head mixologist -- clearly, this was a place that's serious about cocktails. We went on a Sunday night when the head guy was off, but his co-worker Jennifer did not disappoint. Of the several (!) cocktails I tried, my favorite was a bourbon-based drink called Big Bang Theory. The restaurant also is known for its excellent chef, but to tell you the truth, I don't remember much about the food because the drinks were so good, and we had a lot of fun with the couple at the next table, too. 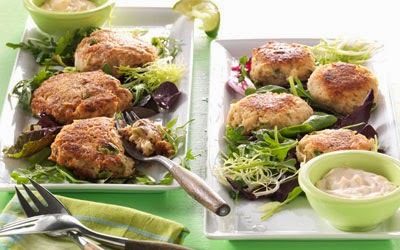 Very little cooking involved -- but this tasty dish will please the whole family. NOTE: Feel free to play with ingredients -- you can omit the edamame, substitute another kind of cooked bean; use a different herb if you don't like cilantro; make a different dressing, or use one from a bottle. Whatever works!! After San Francisco, we drove through the "breadbasket of America" -- the bounteous Central Valley--to visit a distant relative in Sacramento, where we had never been. It is an interesting city with quite a history -- Gold Rush, transcontinental railroad -- and a magnificent park surrounding the state capital buildings. Our best meal there was at a Cali-Mexi place called Zocalo, where we had fresh, filling but healthy dishes such as this quesadilla. The black beans, green rice, and tasty slaw made it a truly memorable plate. Sorry for the long lead-in to one of the most interesting things about California: THE FOOD! We started with a couple of days in San Francisco, well known around the country if not the world for its varied cuisine. We had dined there once before, at least 12-15 years ago, and I really wanted to return. It was just as wonderful this time as back then. The menu consisted of eight first course dishes (such as grilled asparagus with beets and goat cheese, wilted spinach salad, fresh spring rolls) and five entrees. Even though that's not a lot of options, it wasn't easy to decide because everything sounded so delicious. But what I did choose turned out to be fantastic! My first course is this Cauliflower and Quinoa Griddle Cake (with lemon, feta and scallions and served with romesco and herb salad). In the background of the photo is my husband's grilled asparagus with beets. For my main, I chose this marvelously good Wild Mushroom and Leek Gratin, and George had a Spring Pea Ravioli. Our other notable meal in San Fran -- we were only there for two nights -- was at Kuleto's in the Union Square area near our hotel. (And by the way, we loved the drinks at the Urban Tavern adjacent to our Hilton Hotel -- here also is a photo of my Boulevardier cocktail -- not sure that's spelled correctly.) We had excellent wine at Kuleto's and my appetizer of goat cheese-stuffed squash blossoms was worthy of inclusion here. Otherwise, we enjoyed the Irish Coffee at Buena Vista Tavern near Fisherman's Wharf, lunch in North Beach at Osteria del Forno, and a couple of hours walking in the lovely Golden Gate Park.